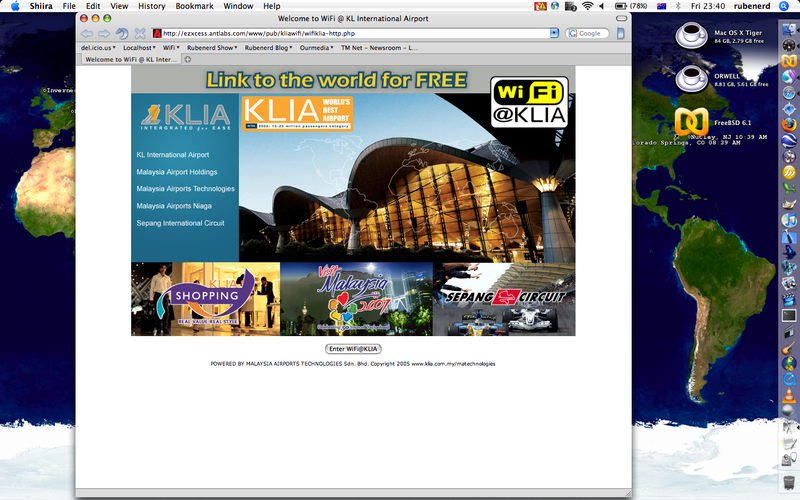 Rubenerd: Kuala Lumpur International Airport WiFi is sweet! Kuala Lumpur International Airport WiFi is sweet! 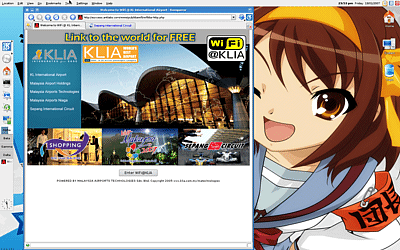 So I was at the Kuala Lumpur International Airport (KLIA to people in the know) for a long drawn out reason which I won't attempt to explain here, and I found myself trying their free WiFi access. Given my experience with TMNet's WiFi at the Starbucks coffee shops here I was a bit sceptical about how good it was going to be. As it turns out it was faster than out DSL at home in Gita Bayu! 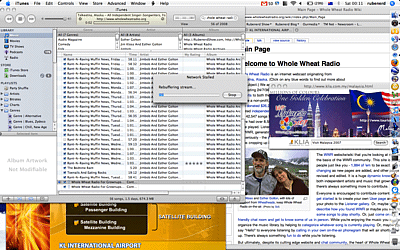 As you would know if you read this site in any manner resembling regularity I love screenshots, so here are some from my WiFi adventures :D.
And what better thing to do on free WiFi network in a Malaysian airport but listen to Whole Wheat Radio? Older post → Rebecca Hagelin shoudn’t try economics lah!